It is pouring rain outside here today and I am thankful for it – California can always use an abundance of rain. I am working and drinking cup after cup of hot tea to keep the chill away. I have definitely been in a rut with dinner for the last few weeks! So I got back to some of my favorite blogs for some ideas and walked away pretty inspired! Some of my faves are: Naturally Ella, Smitten Kitchen, My Name is Yeh, A Cozy Kitchen, Cookie and Kate and Pinch Of Yum. From this exploration I was inspired to make some yummy things: kale salad with fried greek cheese, a couple new soups, and some old fashioned Indian veggies (bengan bhartha!). This quinoa came out of that experimentation – it was delicious. There are a lot of possible variations and I encourage you to use whatever veggies you have on hand. I ran out of tahini otherwise I would have throw that in as a dressing. It was good the way I have it – lots of different textures and very comforting. You could also throw a fried egg on top. Preheat over to 375 degrees F.
Drain quinoa and cook. Put in a small pot, add 1 and 1/3 cups of water and salt to taste. Cover then bring to a boil. Once it is boiling, decrease the heat to minimum until the water is gone. Fluff with a fork and set aside. Cut cauliflower into small florets, onions into small pieces, and toss with salt, pepper and olive oil. Roast in the oven until the cauliflower is crispy. Toss once of twice during cooking. This will likely take 30-40 min. Use toaster oven to toast the pumpkin seeds. Set aside to cool. Heat a frying pan with 2 tablespoons of olive oil until shimmering, put in the garbanzos (drained and rinsed) and cook, tossing frequently, until they are darker brown and crispy. You can add thinly sliced garlic once the garbanzos are almost done. Be careful not to allow them to burn. Toss together the quinoa, 1 tsp dried oregano, cauliflower/onion mixture, crispy garbanzos and pumpkin seeds. Add additional salt/pepper to taste and a squeeze of lemon. Season with crushed red pepper for an extra kick. As someone who cooks a lot, I spend a lot of time trying to use the leftovers – we do end up eating most of the leftovers for lunch but sometimes that doesn’t quite work out. This is my mom’s way of using our leftover dal (Indian lentils). As kids, we used to look forward to this more than the original meal! Poori is a fried bread and generally very popular with kids – my kids certainly love eating this and it makes for a pretty nutritious dinner for them when they eat it with yogurt. I hope that you try it and let me know what you think! 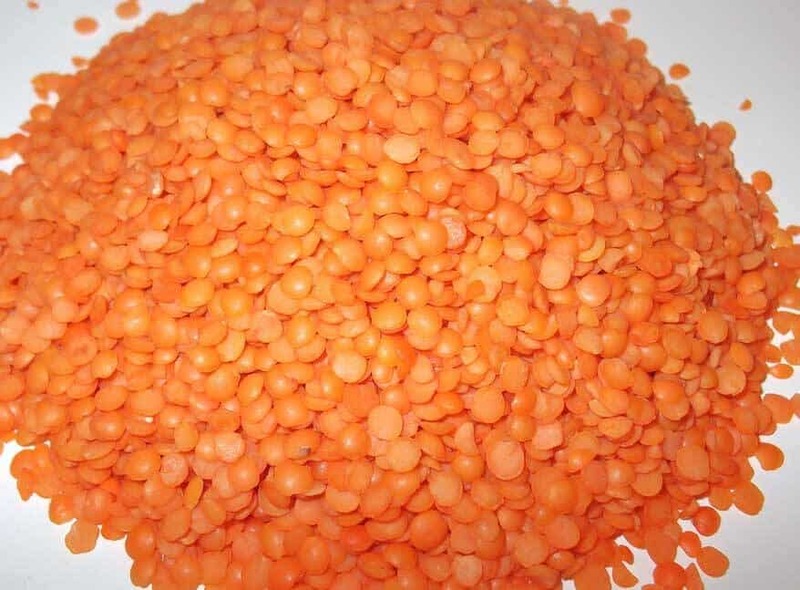 I don’t have any specific measurements listed because the amount of dal I have depends on what is left over – sometimes less and sometimes more, so I will tell you the how and you may have to experiment a bit. Let the dal sit out to warm a bit, otherwise, your hands will freeze! Put it into a large mixing bowl. Start adding in the flour. You can start by adding a cup at a time of the chickpea flour. Once it starts to come together into a dough, switch to adding whole wheat flour. The dough has a lot of moisture in it so you will have to be careful when you start rolling it out. Add cumin and salt to the dough to taste – I usually sprinkle the salt over the dough and then incorporate by kneading so I don’t over-salt. Here is a good video tutorial for how to make poori. Start at 1:26 in the video as the starting process for these is different. Make little balls out of the dough and knead them well in your hands to make them smooth and elastic. I usually make them about 1 to 1 1/2 inches in diameter. You may need to dip them in flour to combat the stickiness. Heat the oil in a wok – 3-4 inches deep of oil – until shimmering. Lower heat to medium. Fry each poori, about 2-3 minutes on each side. Drain out on paper towels placed on a cookie sheet. Serve with a dollop of greek yogurt for dipping. Happy Thursday everyone! It has been cold and rainy and I was feeling like some roasted veggies. This is a pretty simple recipe although it does take some hands on time with the chopping of the squash. I do really love squash but it takes SO MUCH WORK. Luckily it comes in my Imperfect Produce box sometimes so I am forced to use it! In terms of substitutions, you can easily substitute cauliflower or romanesco for the broccoli. Arugula would also be good in place of the kale. And sweet potatoes are a good sub for the squash. If you try it, let me know what you think! It is definitely going to be a do-over in our house. Peel and cut the squash into cubes. Cut the broccoli into florets that are about twice the size of the squash cubes. Cut the pepper and onion into a similar size as the squash. Lay out on a baking sheet. Drizzle with olive oil and salt/pepper, toss using your hands to coat the veggies well. Make the dressing by combining all the ingredients and whisking well. Meanwhile, tear or cut the kale and put in the bottom of a large mixing bowl. Add the dressing on top. Top with the roasted vegetables while still hot out of the oven. Toss well to allow the kale to wilt a bit and the dressing to coat everything. Top with the pumpkin seeds and feta.